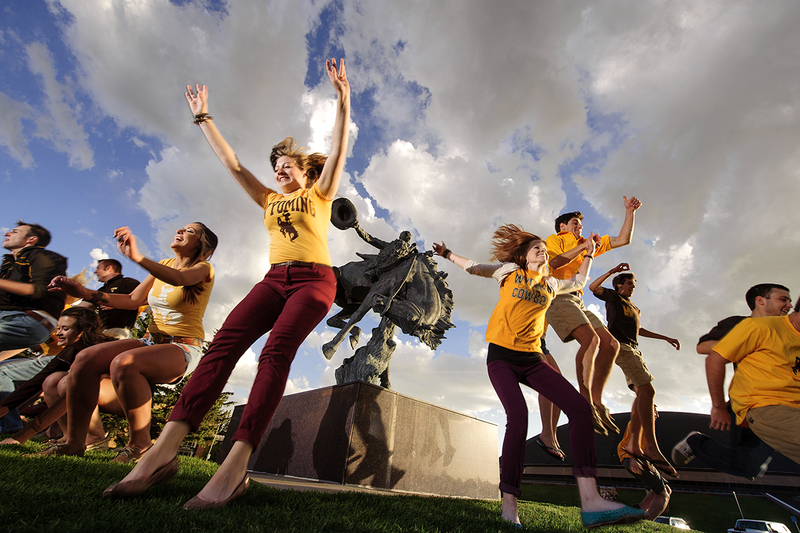 The University of Wyoming requires new, first-time students (freshmen and transfers) wishing to enroll for the Summer and/or Fall semester to confirm their intent to enroll at UW by making an enrollment deposit on or before May 1st. Students failing to confirm and make their deposit by May 1st will likely lose scholarships, aid, and other opportunities offered by the university. For more information and how to complete the, visit the Enrollment Deposit page. If you think you're going to need financial aid money to attend the University of Wyoming, but you don't know how to go about getting aid, then you've come to the right place! Our Federal School Code (for the FAFSA) is 003932. First and foremost, make sure that your application for admission to the University has been approved. Next, fill out a Free Application for Federal Student Aid. Watch for email or messages on your WyoWeb account concerning your aid and make sure you file the proper paperwork, when requested, before any deadlines pass. Verify through your WyoWeb account that your aid disburses into your UW student account at the appropriate time. NOTE: It helps a lot to stay in contact with us and make sure that everything is progressing smoothly. You can do this by accessing your WyoWeb account or give us a call every once in a while to make sure that we have everything from you that we need. Financial aid awards are based on full time attendance which is defined as 12 hours for undergraduate and Pharmacy students, and 9 hours for graduate and Law students. Students who are enrolled for less than full time hours at the end of drop/add period will have their budget and financial aid awards adjusted accordingly. Please feel free to contact our office with questions concerning this policy. If you have applied for financial aid, check your status on WyoWeb, under the Financial Aid Tab, for more information regarding your awards or requirements. Please be aware that the Office of Scholarships & Financial Aid will be notifying you either by a targeted message on your WyoWeb account or by e-mail (please have a current email address on file) regarding your awards and/or requirements. If you are a veteran or graduate student there are some specific programs for you.